Hi Everyone, My name is Jayne and I am OBSTACLE OBSESSED. I am a fully qualified Personal Trainer that just loves embracing the outdoors and all it’s challenges. 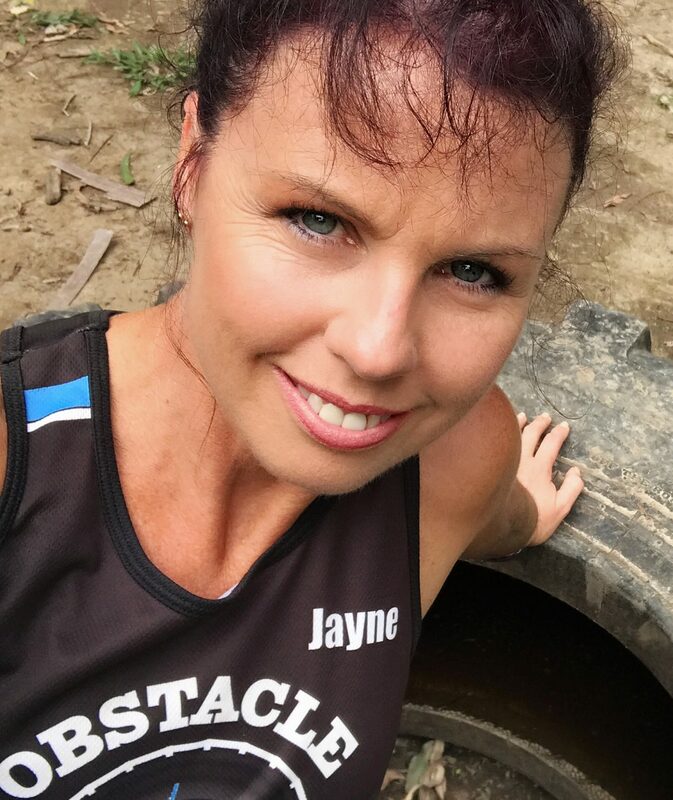 I have competed in All the Obstacle Events over the past 6 years and came to realise the lack of training availability out there. Obstacle Obsession will not only Build up your Strength, Get you Running Fit, but will enable you to experience obstacles and get you fully prepared for your next Event. Kids will improve their balance, climbing and core skills, why should the adults have all the fun. Choose from Obstacle Training, Team Training, Private Training and an 8 Week Program in line to get you ready for the event you have registered into. Obstacle Obsession will also have it’s own Teams Entering All Events so why not be a integral part of my Team. We have a Spartan group that train every Saturday, are we able to bring the team along and have a go one Sunday? That would be no problem at all. Earliest Sunday I have would be 6th December at 7am. Choose between 1.5hrs $30 each or 2 hrs $40 each. How many do you have in your team? My name is Rachael I am the owner operator of Easy As Fitness Personal Training & I would like to bring a group of clients out on the 24th of March anytime from 6am as a special event during there 12wk Challenge.. If you could give me an idea of cost per/ head that would be fantastic..
Hi, i coach a local senior footy side and am enquiring about making a booking to do your obstacle course, just wondering if you can provide further information about how i can go about organising this. Hi there, I’m wondering if you have a minimum number required for a child’s party? Unfortunately the 17th Nov is fully booked. I have 11.30am free on the 10th Nov or 10.30am free on the 24th. My number is 0414604168 to call for more information.